AS much as I realised that life would be different with a baby, it wasn’t until recently that I understood just how different it is – on occasions it’s downright absurd. I wasn’t going to be one of those mothers ruled by their baby, of course not. They’re small, you’re big. They’re the child, you’re the parent and therefore in charge. Sometimes you’ll find yourself in a seemingly impossible situation with a stubborn baby. Mealtimes are a particular challenge. You’ve lovingly prepared your Annabel Karmel puree and have a month’s worth stashed in the freezer – bonus mummy points right there. Step one: Move the highchair to a more interesting location – preferably within sight of CBeebies. Success? Boom, you win! Still won’t open their mouth? Try scouring the kitchen for a more interesting container for the puree to perk up their interest – in our case, a plastic shot glass did the trick. Your evening regime is going well, and you’re confident of fitting in at least one episode of Orange is the New Black before bed. Then, during porridge, someone decides the spoon is their property and refuses to give it up. 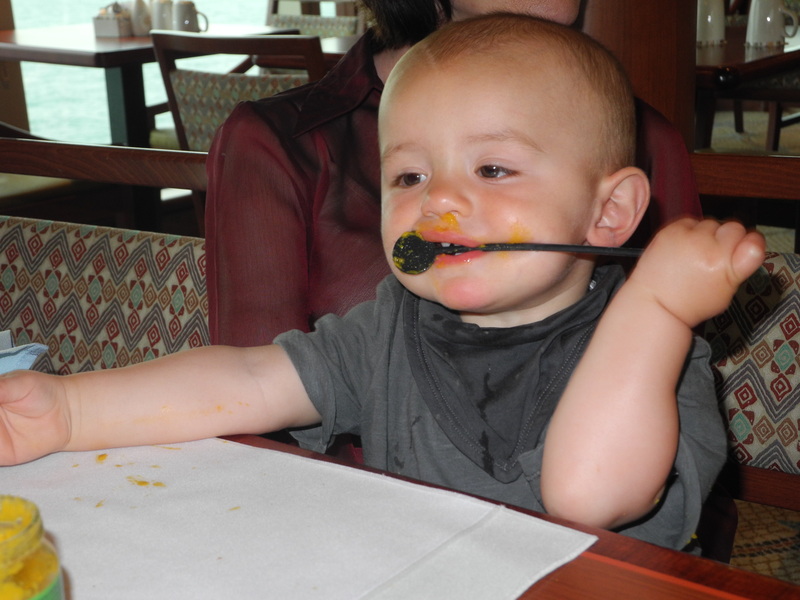 No problem, I hear you say – get another spoon (oh, so clever). But wait, that spoon also belongs to baby, and at the rate they’re feeding themselves, Piper and the gang will have broken out of prison. There’s no prising open the vice-like grip, and using three spoons for one meal just seems ridiculous. 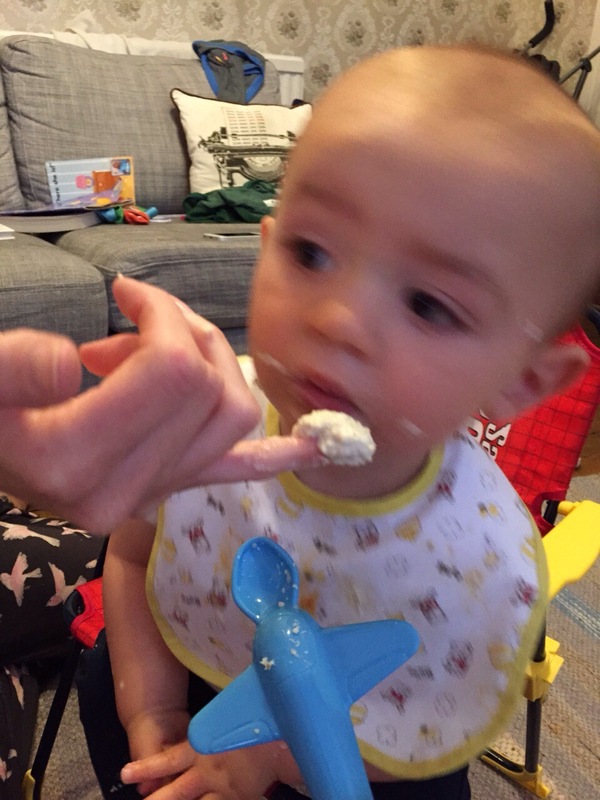 And that’s how you end up finger feeding your one-year-old porridge. The weaning books don’t teach that little trick, do they? 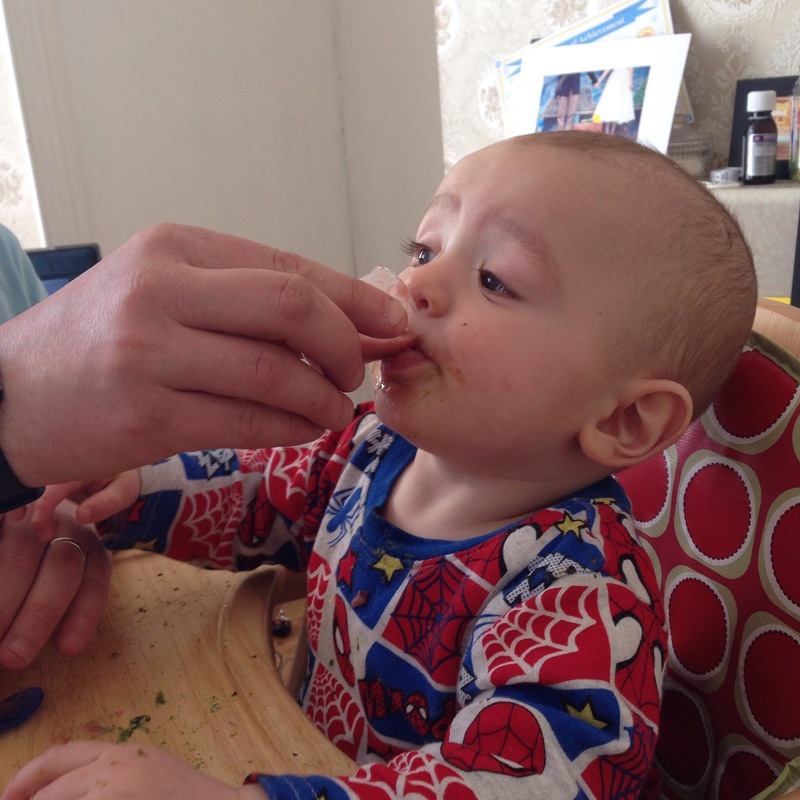 Other tips for failing at mealtimes include letting them cling onto a balloon during breakfast, splash their hand in a glass of water at dinner and chasing them with mouthful sized chunks of food to pop into their mouth while they run wild at teatime. 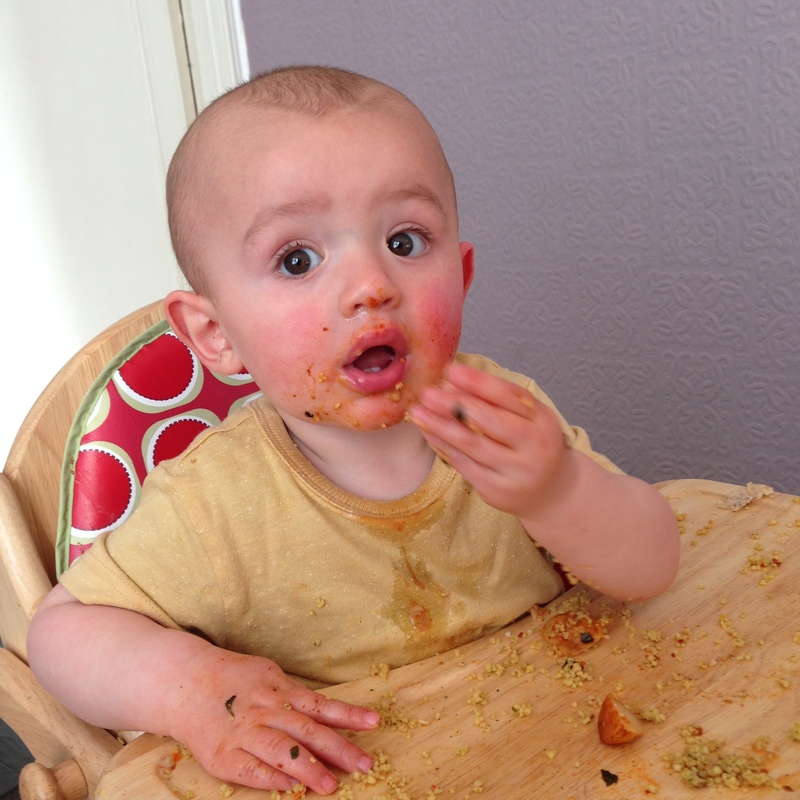 Just remember, if you’re baby led weaning, never, ever use a bib. That would be too clever. Thank you! I don’t know if it even counts as weaning when they’re one! Haha! Thank you. The sensory one still wins I think! haha that was cute. Found you through the Mum Blog FB group. Haha! The worst is when you spend an afternoon preparing masses of food and they refuse to eat it! We did BLW with our three. On many occasion I have gone out for food somewhere without a bib for baby. Because why would you need a bib, right?! I would have liked to have tried BLW but with Santi’s reflux we tried to speed it up a bit to get him into more solids than milk. It made a huge difference, but then we had to introduce finger foods at a later date. I love this! We are at exactly this stage!! Awesome tips, I particularly like the shot glass tip. Interesting location is cool idea too! our little one just won’t sit in the high chair so we regularly chase her round the rooms, waving a spoon, splashing all furniture. it’s a blimmin disaster zone! Yeah I was thinking of getting ours recovered and then laughed myself for being so stupid. I mean, what it more kiddles come along? Exactly. That’s why throws were invented anyway … To cover porridge and fruit purée stains. What about the smell though. Febreze just doesn’t cut it anymore!